Using a specially-designed ‘water skipping bomb’ invented by Barnes Wallace, two of the dams, the Moehne and the Eder, were actually breached to their foundations and as the news broke, Britain’s joy was almost orgasmic. 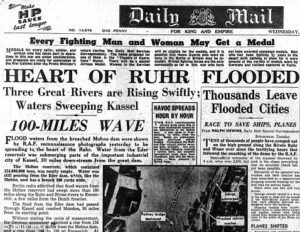 “Floods roar down the Ruhr Valley,” gloated the Daily Express headlines. The Daily Mirror, not to be outdone also enhanced the story… “Hundreds of square miles of devastation have spread through the Ruhr, Germany’s most densely populated industrial area, by the RAF’s staggering attack on the Moehne and Eder dams.” It was also gleefully and sadistically reported that 10,000 Germans had died. The make-up of 617 squadron consisted of airmen from the RAF, RCAF (Royal Canadian Air Force,) RNZAF (Royal New Zealand Air Force,) and the RAAF (Royal Australian Air Force) and the targets chosen were located in the Ruhr Valley, which was also the Ruhr Industrial Region, the primary site of Germany’s mining and steel production. The main targets were the Moehne and Sorpe Dams with the Eder Dam being regarded as a secondary target. Attacking these targets was anticipated to inflict catastrophic damage upon Germany’s industrial output, and cause devastating flooding to the region. It was also determined that the Lancaster bombers would attack from an altitude of 60 ft. and at an air speed of 240 mph, the attacks being conducted at night, to ensure less vulnerability to the German defences. And so the attack was carried out by 19 Lancaster’s, divided into three groups to attack the Moehne, Eder, and Sorpe Dams respectively and on the 16th May the bombers departed at intervals, flying on three different routes in order to evade German flak concentration along the coast and the inland areas, but also flying low to avoid radar detection. 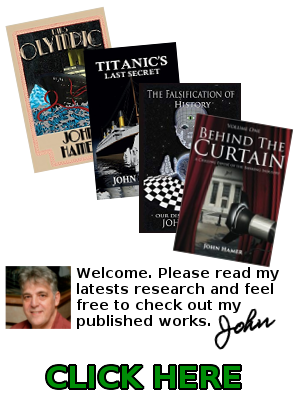 They made landfall on the Dutch coast and skirted around Eindhoven and several Dutch cities, before heading east into Germany. The attacks on the Eder and the Moehne were successful in breaching the dams, while the attack on the Sorpe resulted in only minor damage. The breaching of the Eder and the Moehne caused the destruction of two hydroelectric plants and the destruction or damaging of several factories and mines. However the Germans were able to return to normal levels of production in as little as four months, and by September of 1943. The British lost eight aircraft, and 53 airmen whilst the Germans suffered approximately 1,600 deaths as a result of flooding from the breaching of the two dams. The above picture is a very poor attempt at deception. It was used in several media sources at the time and passed off as a real photo of the damage to one of the dams. A child can see that this is pure fakery. The only dam whose damage could potentially have seriously damaged the German war effort was the Sorpe Dam, yet only a token force had attacked it and the resultant damage was minimal. Certainly the breaching of the Moehne and Eder dams caused flooding, but this mainly affected agricultural land, the one asset that Germany had in abundance. After World War I, 800,000 civilians had died of starvation during the 1919 Royal Naval blockade of war-ravaged Germany and the new German government had seen to it that the nation would be self-sufficient; in fact Germany was one of the few nations in Europe capable of feeding itself. 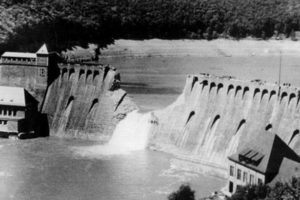 But contrary to Allied propaganda, the raid did not affect hydro-electricity production because the Moehne Dam had negligible electrical capacity and the Eder had none. The actual loss of life was 1,600 mainly working-class civilians, the majority of whom were non-Germans; the displaced Ukrainian civilians, mostly women and children who were housed in camps downstream of the Moehne Dam. However, it was a huge propaganda victory, the stuff that encourages and perpetuates the seemingly never-ending supply of young men volunteering and clamouring to die for the banksters.